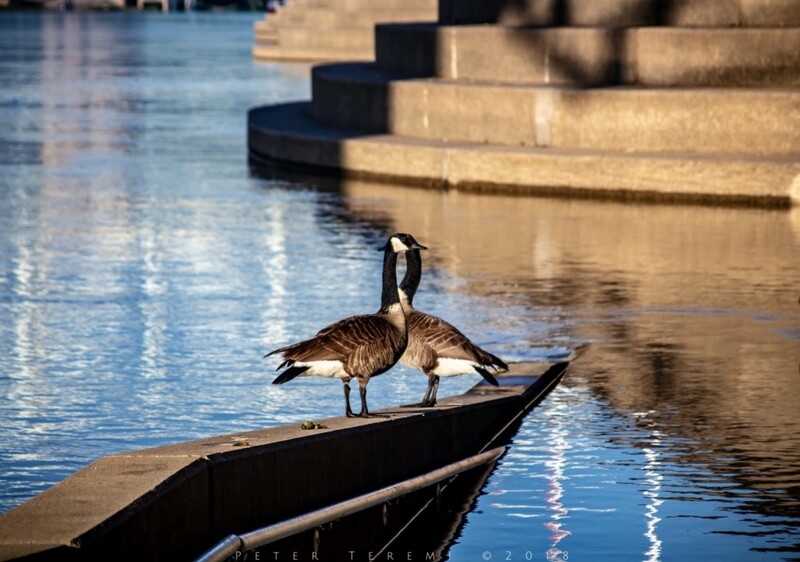 A pair of Canadian Geese bask in the morning sun at the base of the Newport Southbank Bridge. The Purple People Bridge, as it is popularly known, spans the Ohio River serving foot and bike traffic between Newport and Cincinnati. These two are part of a larger population inhabiting many of the parks along the river in Cincinnati. Wishing you all the best, from Murphy-Cam!